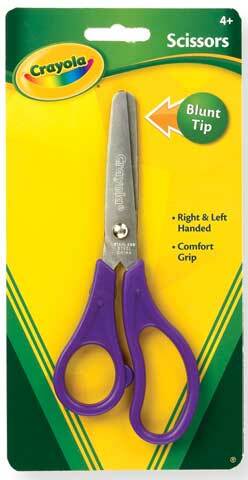 Kid-safe, rounded tip scissors with 1.5 mm. stainless steel blade. For kids ages 4 and up.